Homeschooling and Balance. 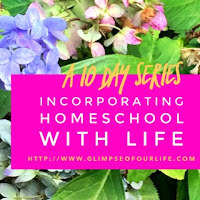 Is it even possible to find the perfect equilibrium to life as a homeschooling parent? The word itself conjures up images of wait staff holding trays of heavy, precariously perched glasses and dishes, swiftly weaving between the tables as they deliver their orders. Or maybe that of a gymnast nimbly jumping and dancing across a narrow beam with grace and elegance. Perhaps you envision the gentle, carefully measured procedure of stacking objects onto a scale in an attempt to achieve a perfect equal level. There is this popular belief that, if you do things properly, it is possible to find a way to balance all the sections and responsibilities in our lives so they each get the time they need and we find success/peace/happiness. We are expected to be able do everything to the fullest. The truth is that life is more about priorities, flexibility, and simplification than balance. In a world where we are pulled in 1000 different directions, it is impossible to accomplish this mysterious idea of equilibrium – let alone the idea that we can be mentally and emotionally steadfast. Trying to do EVERYTHING is just a way to lead to stress, burnout, and failure. In a world where we are pulled in 1000 different directions, it is impossible to accomplish this mysterious idea of equilibrium – let alone the idea that we can be mentally and emotionally steadfast. Trying to do EVERYTHING is just a way to lead to stress, burnout, and failure. As homeschoolers, we have made a choice to put the education of our children as a priority. But we also have a lot of other things that we are responsible for: feeding the family, maintaining our homes, taking care of our own well-being, work, etc. Can we do it all and, if so – how? Do we actually need to? Over the next few days, we’re going to dive into this myth of balance as homeschoolers. Let’s talk about making decisions on what’s important and what’s not, systems to help simplify the challenging areas, and how to handle the areas that are overwhelming us. 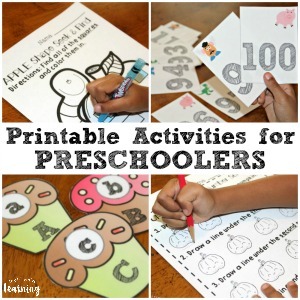 Want more help with your homeschool? 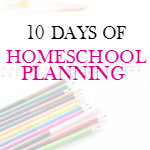 Join these other bloggers as we all work together to offer you 10 Days of Tips for Homeschoolers. Knowing we can’t do it all and not trying to makes a big difference. Seasons, not balance. If we try to do everything all at once we can do nothing well, or we cannot do it for long. But if we do things in season, we will do fine. We get married, have babies, those babies grow and as they do, they each develop and grow. We volunteer or teach or whatever at the age appropriate level. And it continues to grow. Balance is not how to think about things but seasons are. That is even scriptural, whereas I don’t think God’s word ever really says anything about balancing what we do. It is about doing this in season. See Ecclesiastes.